With a built-in high performance electronic pump and precision pressure controller, the 761 series portable automated pressure calibrators provide a turn-key solution for calibration of gauges, transmitters, and switches both in the field and in the laboratory. 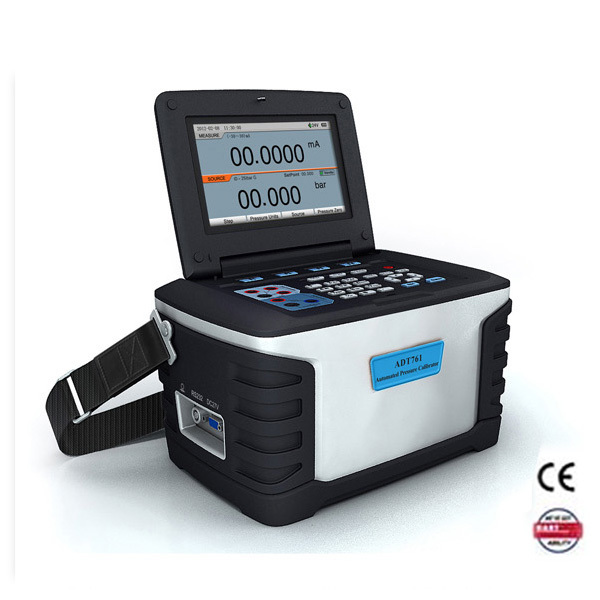 In a portable package, this calibrator can automatically generate pressures from 95% vacuum to 15 psi (1 bar) with 0.02% FS accuracy. To improve the calibrator accuracy, two pressure modules with differing ranges are built-in and integrated with the internal pump and controller. The 761-LLP is specially designed for low pressure calibration, and pressures as low as 0.01 Pa (0.00004 inH2O) can be automatically generated and controlled. 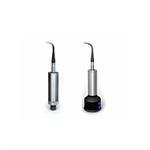 With optional external pressure modules (160 series), the 761 can measure pressures up to 10,000 psi (700 bar) with 0.025%FS accuracy. In addition to the pressure generation, control, and measurement capabilities, the 761 also features HART communication capability, supplies 24V loop power, and reads the current or voltage produced by the pressure transducers. 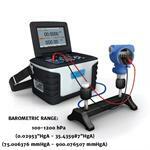 The 761 is a state of the art automated pressure calibrator which brings automated pressure calibration to the field. Additel 761 optional accessories including adapters, calibration, fittings, hose test kits, test kits, manifolds, and software.